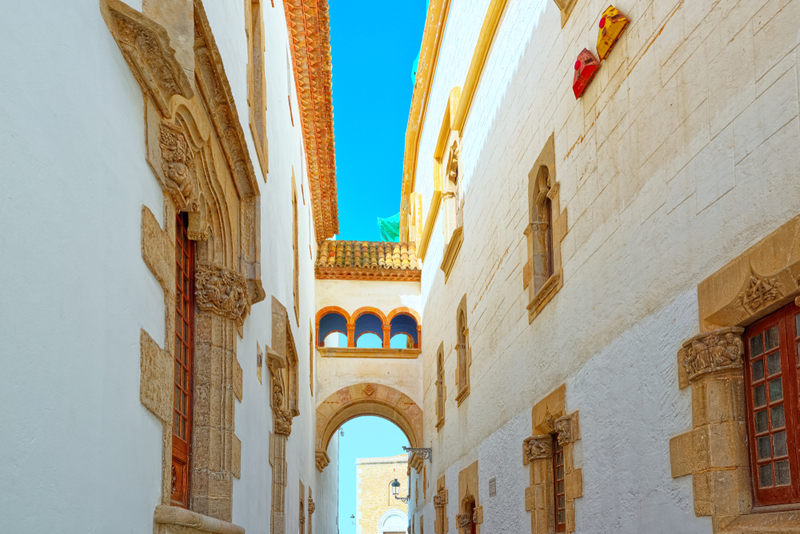 Sitges: a charming small townclose to Barcelona. Sitges is a little jewel that has resisted the passing of time and the pressure of changing trends to become what it is today: a classic on the Mediterranean coast. Loved by locals and visitors alike, it has the perfect blend of tranquillity and leisure, the beach and the city, and cuisine and sports. 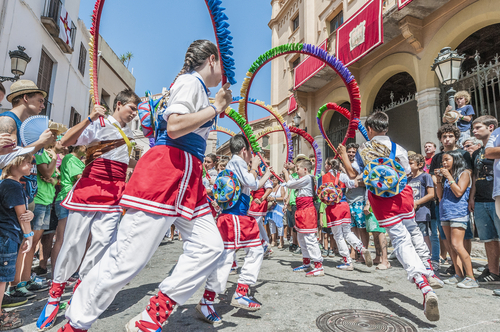 Wedged between the Garraf massif and beautiful crystalline beaches lays this town of fewer than 30,000 in habitants, known world round for its carnival, food and International Film Festival. Sitges is located in an area that has been inhabited since prehistoric times. It has been home to Iberian settlements and a Roman port. The walled city that is still featured on the town’s shield today was built in the early 13th century, establishing what would later become the centre of the city. Vineyards, trade and fishing allowed the city to prosper and its wealth grew once the Spanish crown allowed Catalonia to begin trading with the Americas and residents set off on an American adventure. Most of the stately buildings in the old city centre were built by these “indianos”, merchants who made their fortune in the new world and brought a bit of it back with them when they returned to their hometown. 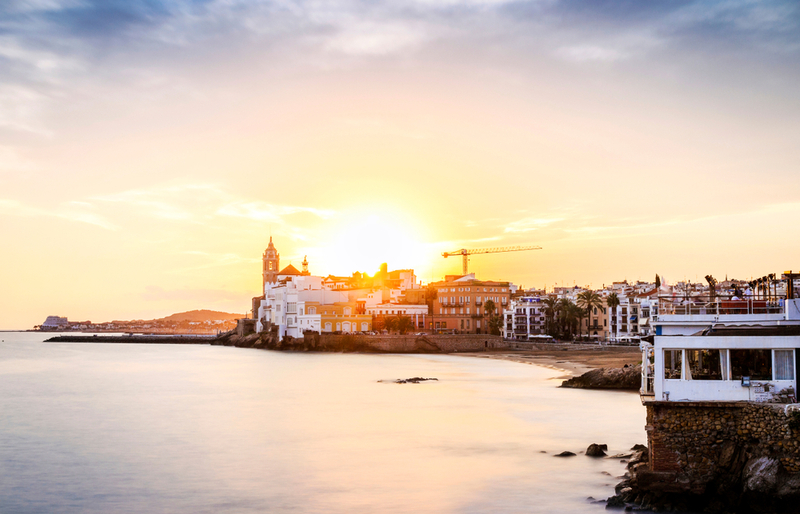 Since the late 19th century, Sitges has been a city of rest for the well off in Barcelona. With the arrival of the train line and Santiago Rusiñol, it also became a revered cultural hotspot for the modernisme movement. Although Sitges is known by locals and visitors alike for its traditional food, the culinary offering has made it a hotspot for all sorts of gourmands. This is why, as soon as the first ray of sun comes out, many people leave Barcelona and head down to Sitges to spend the day and have lunch. For those who prefer tradition, there are three elements that can't be forgotten: Malvasia, rice dishes and xató. Malvasia is a sweet wine, traditionally served with dessert, that is highly aromatic and broad. 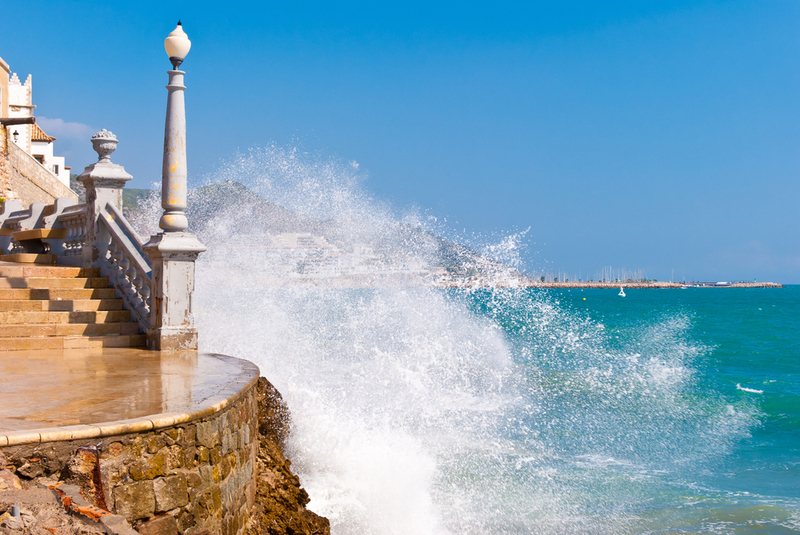 Sitges is famous for its rice dishes, especially the surf-and-turf rice that reflects the dual nature of the town, wedged between the sea and the mountain. Finally, xató, a recipe disputed by several different towns that we’re sure really originates in Sitges. It is a dish that features escarole, cod, anchovies, peppers and a sauce whose recipe is passed down from generation to generation. And the secret is in the sauce. 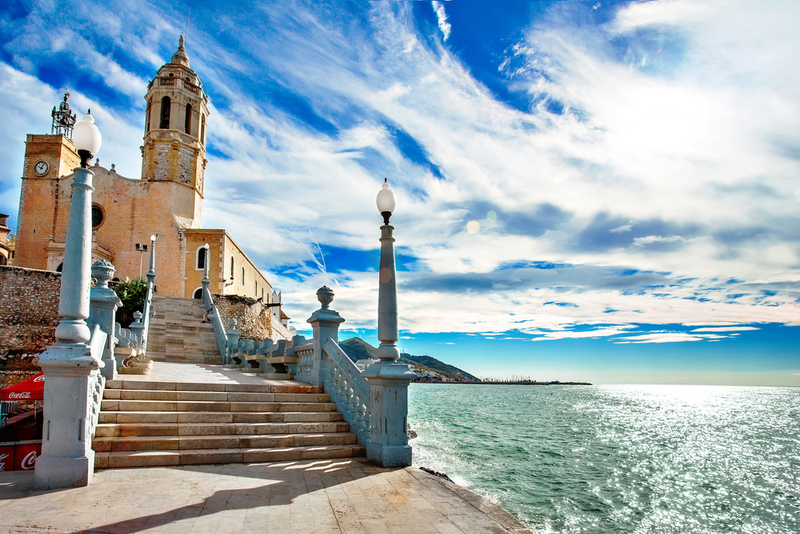 Since the arrival of the modernists in the late 19th century, Sitges has been a hotspot of culture, art and leisure. 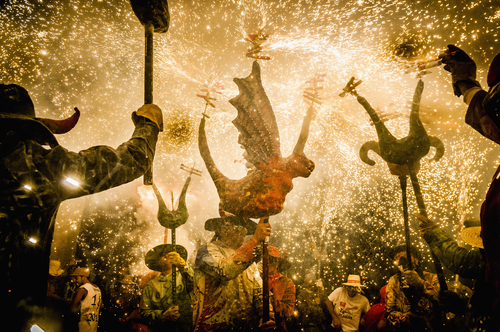 Today the town hosts one of the most famous carnival celebrations in Spain, an international film festival, a classic car rally, several museums and galleries and an endless array of leisure activities, both day and night. 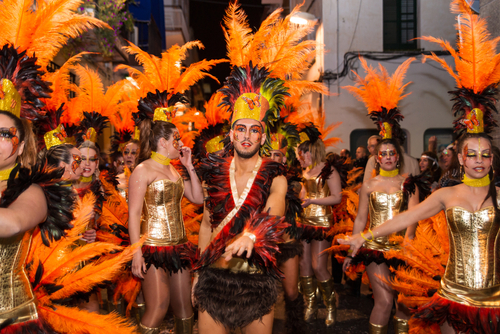 Each year, for a few days in February, the Sitges carnival transforms our little town into an explosion of colour, fun and humour. Groups of friends in fancy dress, beds that take to the streets and compete in a race without brakes, a queen, a king… And people, loads of people enjoying every minute on our streets. Originally, the Sitges Film Festival was a festival for fantasy and horror movies and it still has an irrepressibly freaky feeling. This has convinced directors and actors to present their most daring, controversial work here. One piece of advice: book your apartment with Sitges Group Apartments early (very early) if you want to come spend a couple of days at the festival, because we’re sure to be fully booked. Golf courses, tennis courts and a discrete but impressive marina round out the offering of beach and relaxation. Sitges has one of the most well renowned golf clubs on the Barcelona coast, Club de Golf Terramar, with a carefully manicured 18-hole course that will delight golfers of all levels. It is also home to 3 popular tennis clubs, including the clay courts at the Sitges Tennis Club. Finally, the cosy Marina d’Aiguadolç has a discreet marina and offers sea and sailing activities for all ages. From the centrally located, family-orientated beach at Platja de la Fragata to the more isolated nudist beach at Platja dels Balmains, the coast of Sitges features 18 km of beaches with something for everyone. Less than fifteen minutes from the city centre, you’ll also find Platja d’Aiguadolç, a family-orientated cove with one of the most spectacular settings in the town. You can also enjoy a more civilised setting at Platja de Terramar and the fun “scene” at Platja de la Rodona.